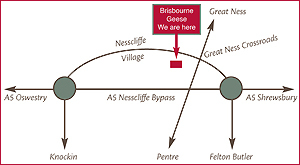 Contact Brisbourne Geese Shrewsbury Shropshire - free range goose or bronze turkey for Christmas! You can place your order over the telephone, by post or email. 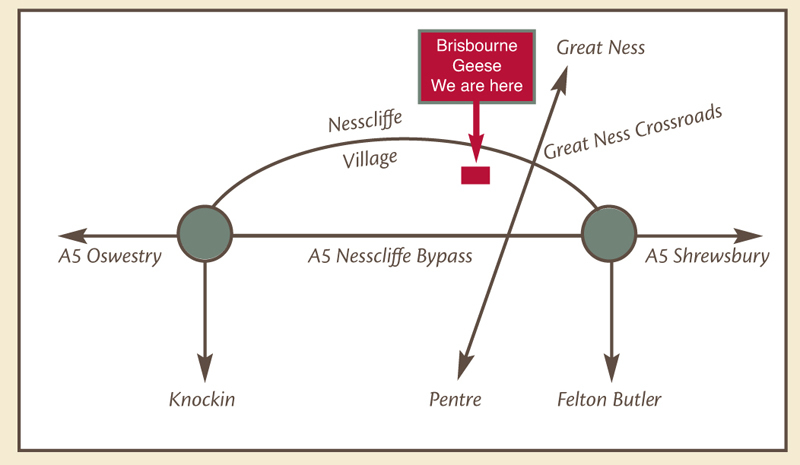 We will also need you to print off and complete the relevant order form (follow goose and/or turkey order form links on the left of this page) and post to us along with your deposit. 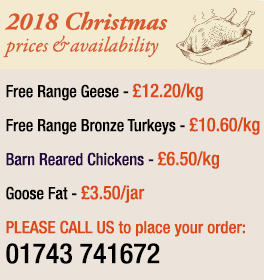 Enquiries for quantity orders from butchers and farm shops are welcome.